Paul Ross – Broadcaster, Columnist, Producer and Awards Host. Paul Ross is a rare talent within the media, as well known behind the cameras as in front; on radio as on television; and as a serious journalist as well as a quick witted celebrity. Born on his father’s 18th birthday New Year’s Eve 1956, Paul Ross is the eldest of five boys and one girl. He grew up in Leytonstone, North East London where he went to the first comprehensive in the area, and then went on to Kent University and then Exeter to read and research English literature. Having trained as a journalist in the west country Paul then got a job at LWT working for Greg Dyke as a researcher on ‘The Six O’ Clock Show’ with Michael Aspel, Chris Tarrant and Danny Baker. He later ended up editing that show, as well as ‘The London Programme’. His first job as a TV presenter was on a serious current affairs show called ‘Eyewitness’ which ran for two years and saw him filming in Sicily, the States, Brazil and Russia. He also fronted the police appeals show ‘Crime Monthly’ for ITV, ‘Big City’, and was co-host of the BAFTA award-winning show ‘The Big Breakfast’ for two six-month stints. In the past Mike Tyson, Sandra Bullock, Jean Claude Van Damme, Dennis Hopper and Arnold Schwarzenegger have been on the receiving end of his occasionally acerbic but always amusing interviewing technique. Paul has always presented a gazillion game shows including ‘All Over The Shop’ and ‘No Win No Fee’ for the BBC, ‘Jeopardy’ for Sky One, ‘Endurance UK’ for Challenge TV, ‘Tellystack’ ‘Mystic Challenge’ ‘You Don’t Say’ ‘Upshot’ ‘Ballpark’ ‘Mind the Gap’ ‘A Slice of the Action’ ‘Life’s a Punt’ and many, many more. Paul has made guest appearances on everything from ‘Through the Keyhole’ and ‘Stars in their Eyes’ to ‘Celebrity Mastermind’, ‘Who Wants to Be a Millionaire’, ‘The Weakest Link’, ‘Dickinson’s Real Deal’ and ‘Donny Osmond’s Pyramid Game’. 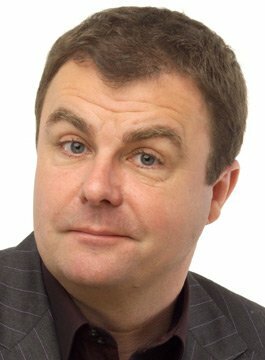 Paul Ross is the showbiz correspondent and film critic for ‘This Morning’. In the past he has written regular columns for Tatler, News of the World and the Daily Star on Sunday. He has been hosting radio shows since the early nineties – mainly talk shows – which have included BBC London’s flagship ‘Breakfast Show’, and the Saturday Morning show from 9 till 12 on BBC Sussex and BBC Surrey. Paul currently broadcasts on talkRADIO.